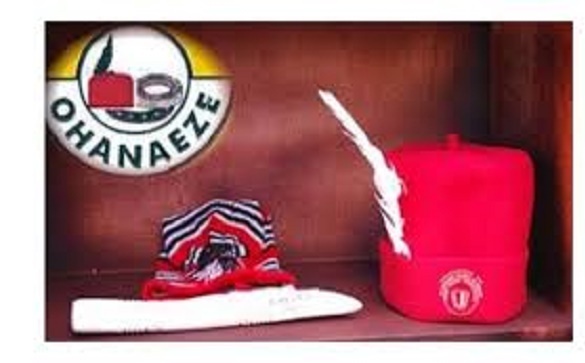 PRESIDENT of Ohanaeze Ndigbo of the 19 Northern states, Augustine Amaechi has said an Igbo presidency in 2023 will end various agitations in the South East. Amaechi also alleged high level injustice, marginalisation and lack of fair play against the South East. Speaking in Minna, Niger State, yesterday, after a one-day meeting of the group, Amaechi said the region hassuffered marginalisation and neglect for too long. He insisted that agitations by the banned Indigenous People of Biafra (IPOB) and Movement for the Actualisation of Sovereign State of Biafra (MASSOB) were borne out of injustice and continued marginalisation of the region. “Virtually every Nigerian agrees that there is injustice in the country, especially against the South East, but what every Nigerian has not agreed is what to do to address the injustice. He pointed out that what they are seeking is equitable distribution of power and resources in Nigeria. “We want every Nigerian to be happy, I want to say that injustice to a Nigerian is injustice to all irrespective of tribe or creed. It does not matter where the person comes from, once a Nigerian suffers injustice, it should be a concern to all,” he added. Amaechi explained that the leadership of Ndigbo from the 19 Northern states was in Minna, not only to address issues that concern Igbo, but to also get feedback from all the northern states on the recent quit notice issued to Igbo, although the tension has died down. In addition to this, “the meeting will enhance a better relationship among the Igbo and their host communities. “We are here to deliberate on issues as it concerns Ndigbo particularly and to point out areas where we feel the state has not treated us well. “I want to tell you here that our national head quarters has spoken in favour of restructuring and we are bound to follow the fact that this country should be restructured,” he said. Amaechi said politics would not be ruled out of the meeting in Minna “because when leaders are taking political and economic decisions, ‎it is necessary to weigh the effects of such decisions. He said Igbo would do everything to secure the unity of the country as they aspire to produce an Igbo president in 2023‎. “We want to produce the president of Federal Republic of Nigeria and not Biafra and this reminds everybody that we are not talking of Biafra this time,” he said. Amaechi said with such ambition, the Igbo has to build bridges of friendship between Igbo and their various communities. “At the end of this meeting, I can assure you of ‎the Igbo presidency in 2023,” he said.